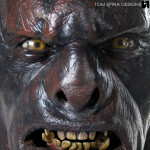 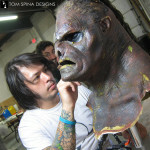 Restoring an original Lord of the Rings Lurtz orc movie mask! 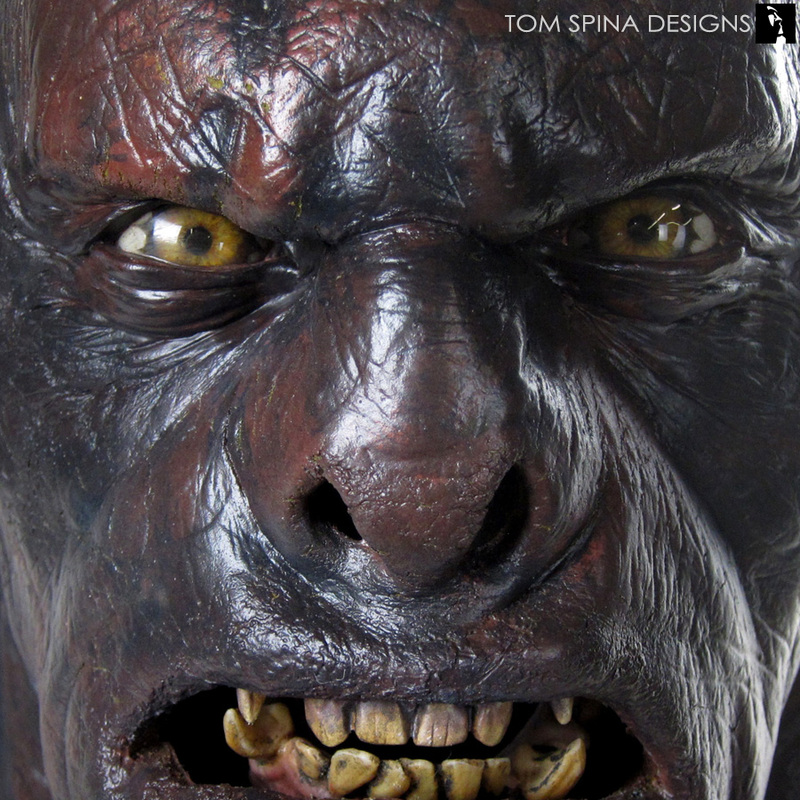 It’s rare to see original pieces from Peter Jackson’s amazing movies, and this super-rare Lord of the Rings Lurtz orc foam latex mask is a great example of the artistry that went into making those films. 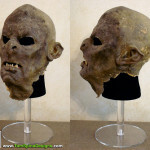 The movie prop mask came to us in fair condition, used in production and with a bit of wear and tear (some from production and some from after), but essentially all there except for the upper teeth. 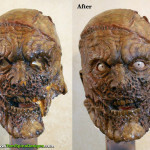 It had the lower teeth but no uppers. In addition to the restoration and repair work, the client asked us to create custom eyes and blend those into the existing mask, and to add the upper teeth to complete the display. Often original movie props will turn up years after a production, missing a small element. 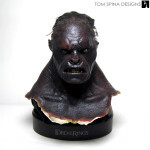 We’re able to create those elements if needed and make the prop into a more visually complete display, should a collector desire. The prop mask had a bit of post-production damage. 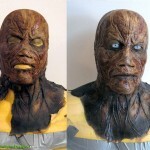 We mounted the mask onto a custom-made foam form, shaped to match the inside of the movie mask and to help support the foam latex skin over time. 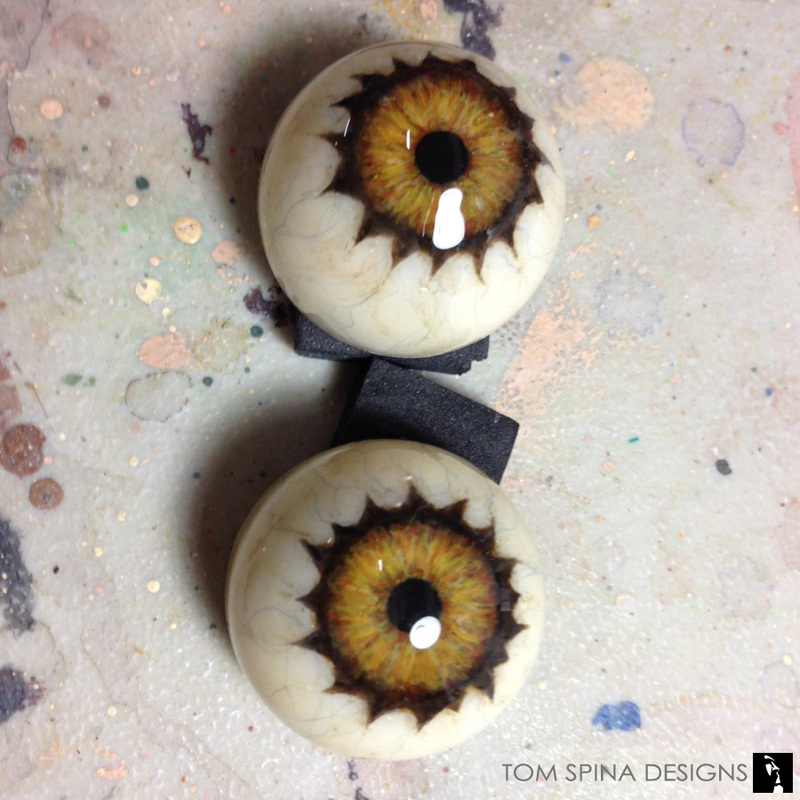 From there, we added customized upper teeth and completely custom eyes made by our friends at Tech Optics. 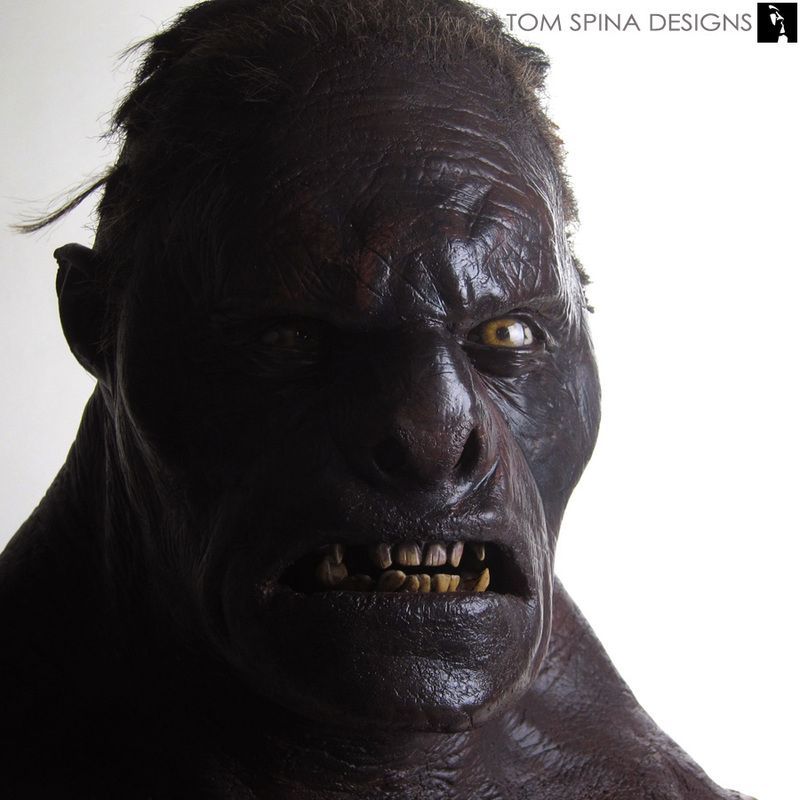 We sketched the look we wanted and they really came through with an outstanding set of peepers for our orc mask restoration and display! 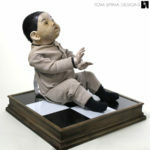 As always, we were careful to be balanced in our work. Our restoration approach emphasizes maintaining the integrity of these amazing original movie masks and props, and wherever possible we strive to preserve the original “feel” of the piece and evidence of age and use in a production. 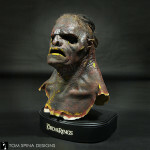 This piece is now part of the Propside.com collection. Get all 3 movies here!